2017 Xpress XP170 2017 Xpress XP170 w/ Yamaha F70, and Back Track Aluminum Trailer. Please call and ask for John or Eric for more information. 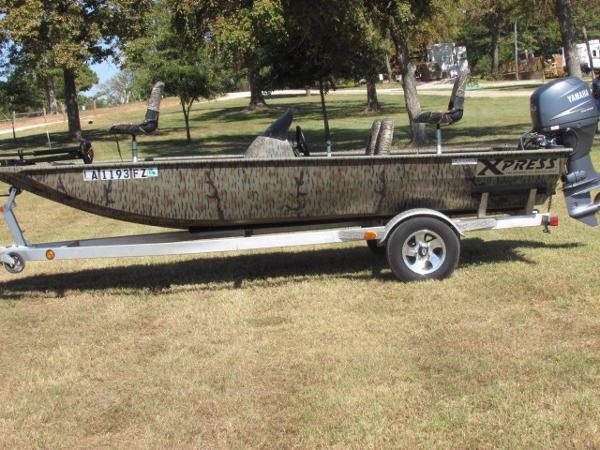 The ultimate multi-purpose boat line, the Xpress Boats Xplorer Bass Series does it all. Our V Style Hyper-Lift® hull provided unmatched performance as you glide across the water. Whether hunting or fishing, our Xtreme Coat non-slip liner provides positive footing, even under natures worse conditions. Whether casting a line or blasting a cap, this is truly a multi-purpose high performance platform. 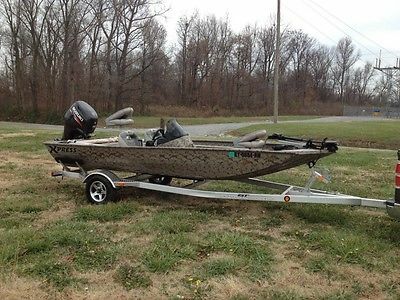 2016 Xpress XP170, Barely used 2016 Xpress XP170 with Yamaha F70. 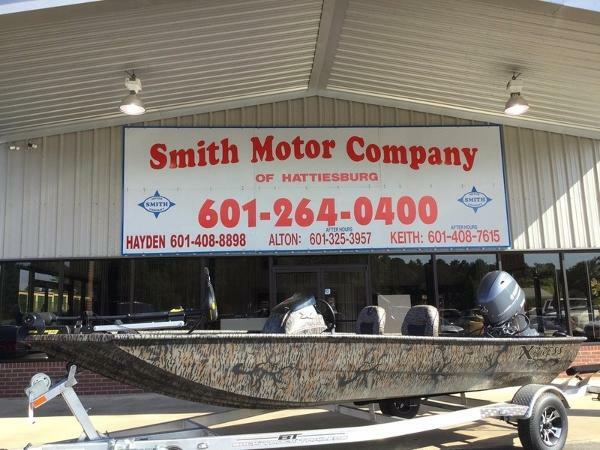 Has remaining factory warranty, rod holders, trolling motor, livewell, fishfinder, aluminum trailer with aluminum wheels, camo paint, sprayliner, and less than 10 hours on the engine. 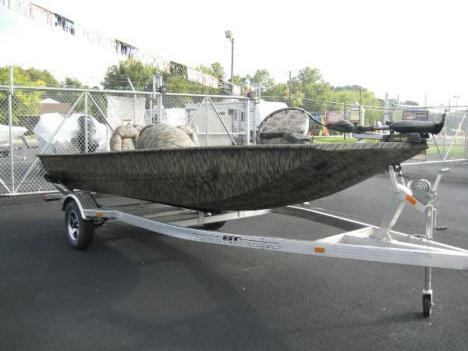 Get an almost new boat at a used price! 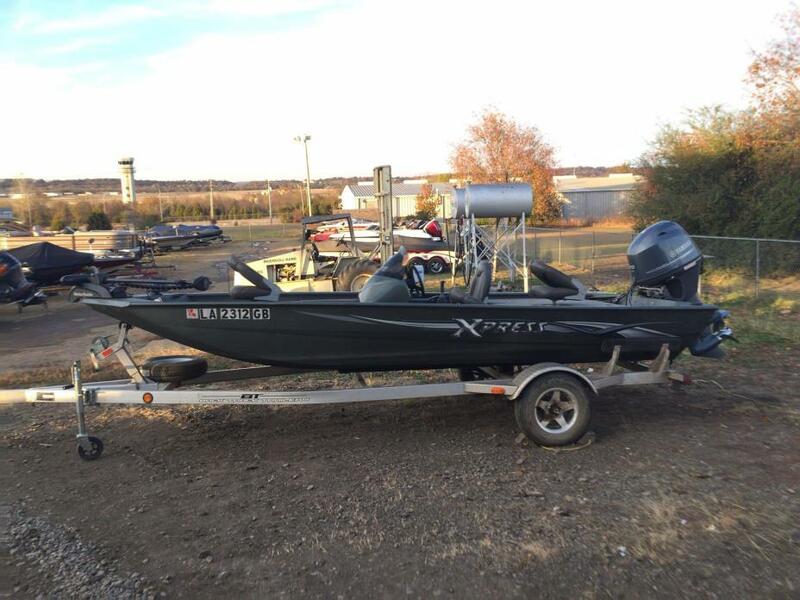 2016 Xpress XP170 The ultimate multi-purpose boat line, the Xpress Boats Xplorer Bass Series does it all. Our “V” Style hull provides unmatched performance as you glide across the water. Whether hunting or fishing, our Xtreme Coat non-slip liner provides positive footing, even under nature’s worse conditions. Whether casting a line or blasting a cap, this is truly a multi-purpose high performance platform. 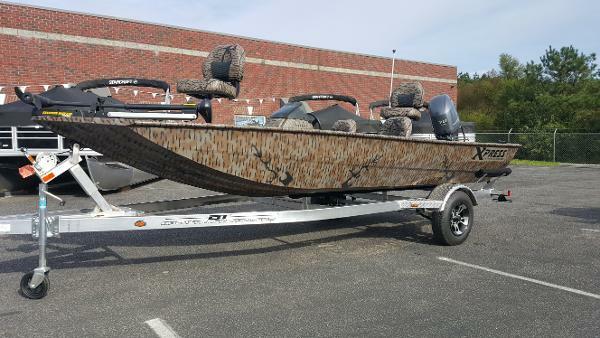 2016 Xpress XP170 Lake City, SC Pictures coming soon! 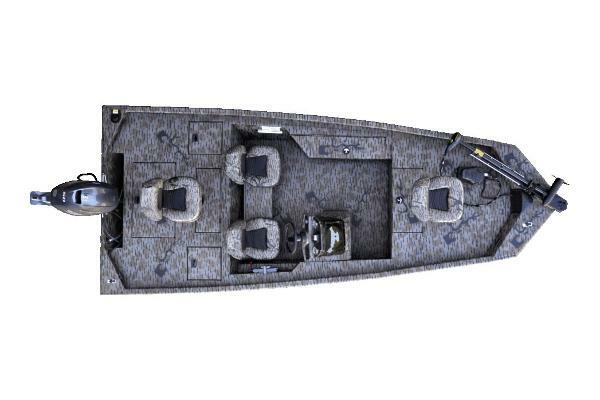 2012 Xpress XP170 The ultimate multi-purpose boat line, the Xpress Boats Xplorer Bass Series does it all. Our “V” Style Hyper-Lift® hull provided unmatched performance as you glide across the water. Whether hunting or fishing, our Xtreme Coat non-slip liner provides positive footing, even under nature’s worse conditions. Whether casting a line or blasting a cap, this is truly a multi-purpose high performance platform. Powered by a Yamaha 60 HP 4-Stroke EFI. Only 71 Computer verified run time hours. Options include a Minn Kota Edge 45 Lb. Thrust trolling Motor. New on Board Charger. Hummingbird 160 Fish/Depth Finder. Power Tech 3 Blade SS Prop. 2013 Xpress XP170 Jet SHALLOW RUNNING XCITEMENT River level is dropping and the fish are on a feeding frenzy. Its go time! 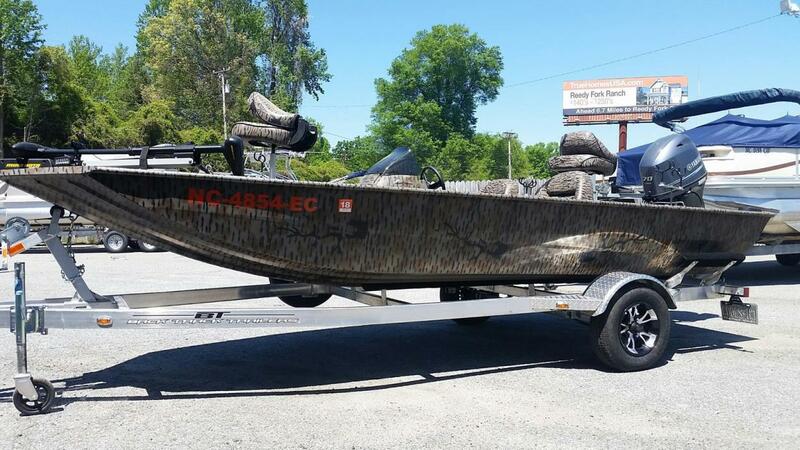 Rest assured navigating the shallow, boulder infested, small mouth or trout streams in your Xpress Jet Series Boat is no problem. We will get you to and from your favorite seam or pocket where the big ones reside! When others may so NO, Xpress says GO! Here it is, THE ONE you all been waiting for. 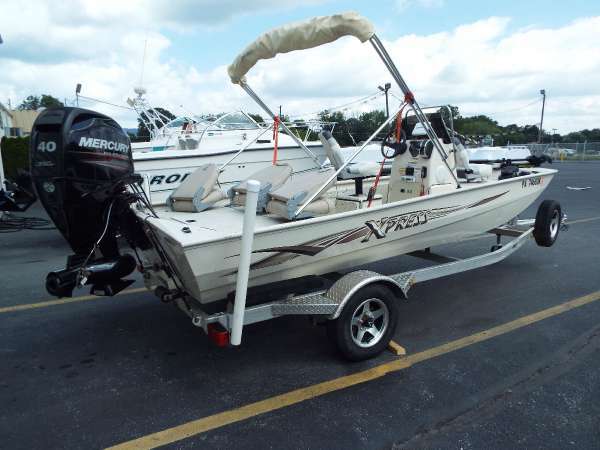 Stock # P7468, complete with a two inch tunnel hull, Mercury 40hp EFI Jet, power trim, only 129 hours, marine stereo, vertical rod rack, (5) total fishing seats, on board battery charger, Lowrance HDS 5 "Lake Insight" Minn Kota 70lb. 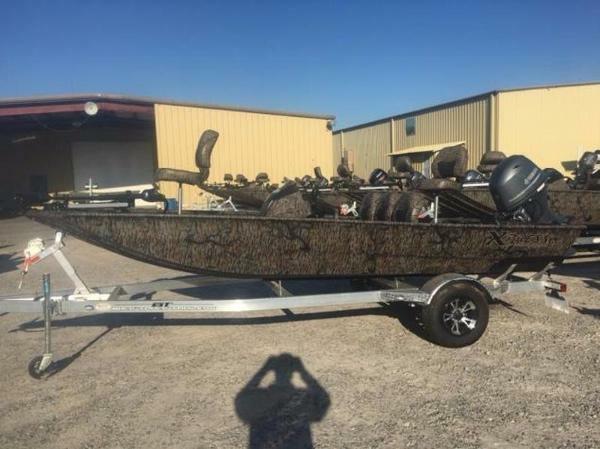 Edge, bow mount 24 volt trolling motor, port side stern boarding ladder, windscreen, large bow livewell, bimini top, Super Light Back Track aluminum custom trailer, Vortec bearing system, aluminum mag wheels, matching spare tire and mount, and a whole lota fishin fun to be had! - RARE FIND JET TUNNEL!! 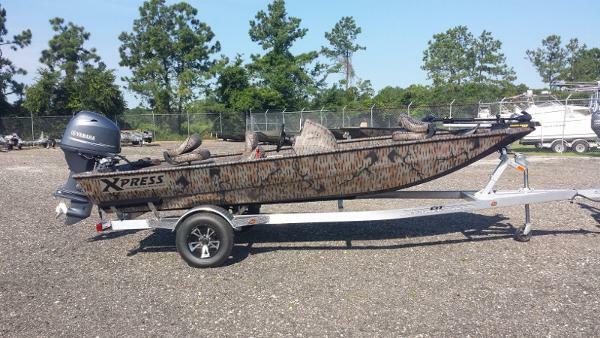 Would like to sell my 2013 Xpress bass boat. My wife and I decided to purchased a larger boat for more leisure boat riding. I have not had this boat long. I purchased it new at the beginning of the year and swapped out the Yamaha 50hp it had on it to a larger Suzuki 70hp just a few months ago. The outboard currently has just over 5 hours. It's like new and very smooth running. Its should have 6 year warranty. I'll have to double check on that though. Break-in was followed per spec and is not finish yet. Outboard can be run WOT right now just no longer than 5 Min until 10hrs. Boat runs 37mph with just me in it. Has a 12v Minn kota foot control TM mounted on front. Built in live well, 18gal fuel tank, bulge pump, and two deep cycle batteries. Also has lockable storage for rods and such.Fish finder has built in GPS. Boat is setting on a all aluminum trailer built by Xpress also. ONLY flaw with this boat is some of the paint, (not texture) is flaking around seats. I have touch-up paint. 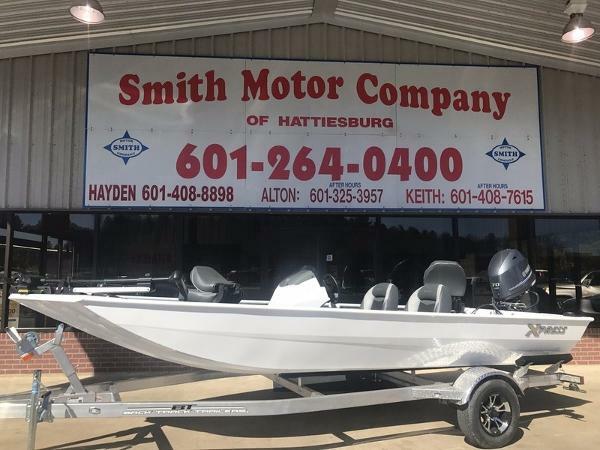 2013 Xpress Xplorer Series XP170, Very low hours on this 2013 Xpress XP170 with Yamaha 70HP 4-stroke includes stainless steel prop, 2 fold down fishing seats, Lowrance Elite 5 HDI at console, Motorguide Xi5 55# trolling motor w/ GPS, remote control, and foot pedal, all-welded hull, aluminum trailer w/ spare.